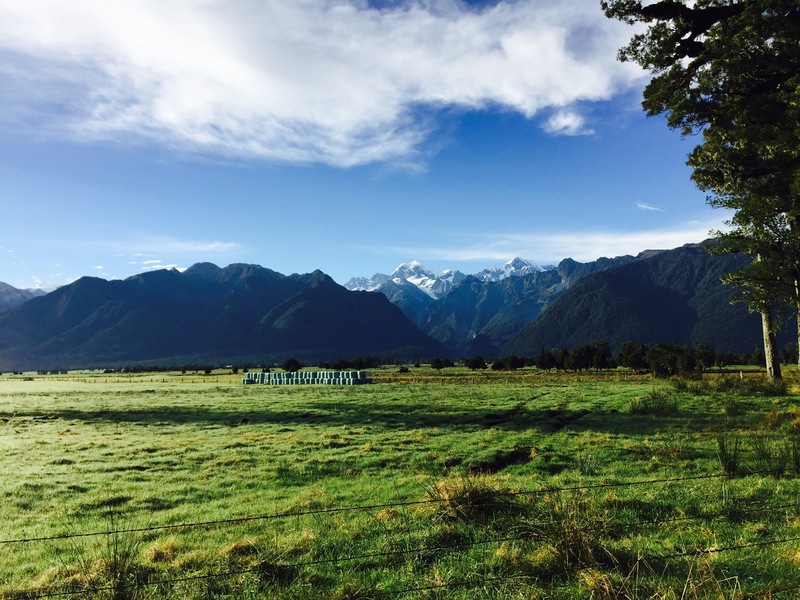 We regretfully left Franz Josef and headed through the countryside towards Wanaka, a beautiful town set on a lake surrounded by snow-capped mountains. A lot of people say that this is what Queenstown used to be like years ago, before it became so developed. 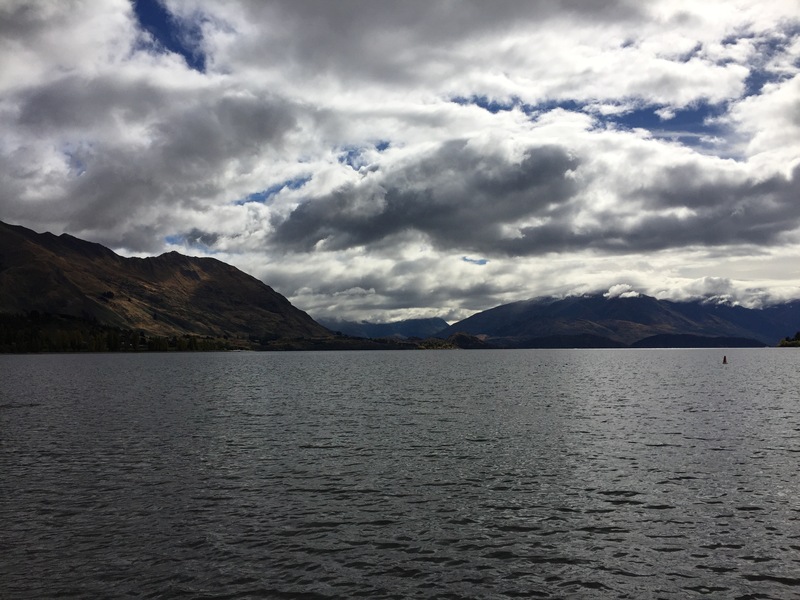 While some of the enroute stops on the Kiwi Experience bus are pointless, the main stop on the way into Wanaka was breathtaking. 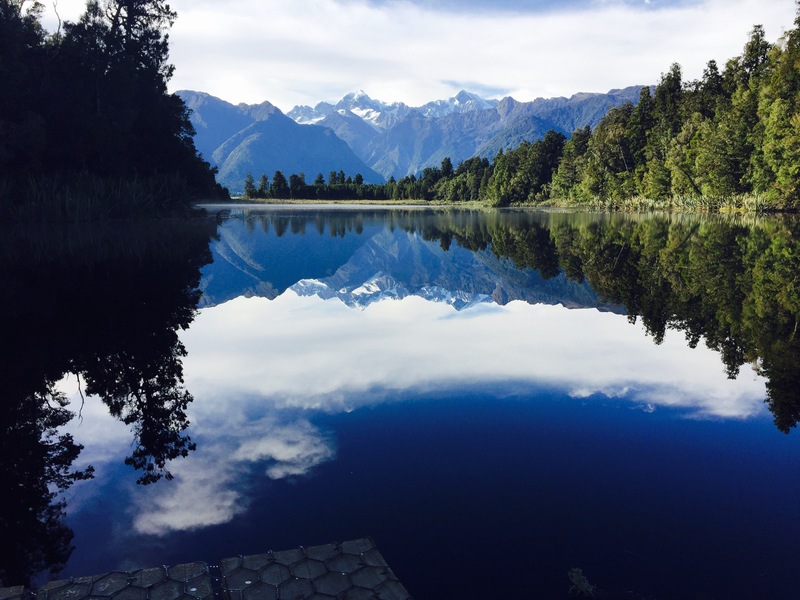 Within the Westland Tai Poutini National Park, we stopped at a cafe and short walk that took us down to a beautiful lake that literally mirrors the surrounding mountains. It was an extremely crisp and bright morning and the photos that we were able to get were truly stunning. We arrived into Wanaka in the afternoon where myself and Matt were able to catch up with friends who had been one bus ahead of us. We spent the rest of the afternoon/evening talking and watching films with them, before retiring for the day. Our full day in Wanaka probably wasn’t used to its fullest extent; partly because of the rain and partly due to meeting more friends. We did however get to make a short trip around the lake to visit the famous tree. 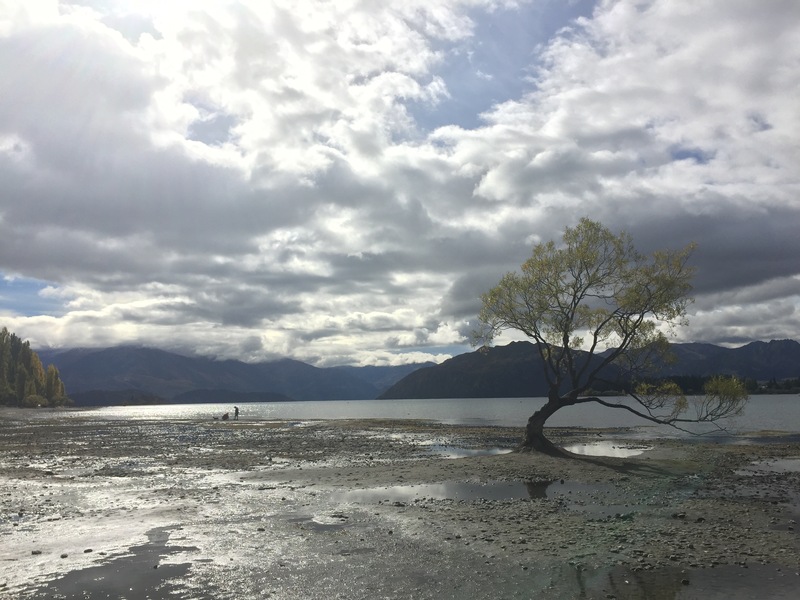 Unfortunately the tide was out (yes there are no tides in a lake but the lake in Wanaka is tidal and changes depths regularly regardless of rainfall) , so the tree wasn’t in the water which is what its famous for and this kind of ruined the point entirely; I digress. In the late afternoon we decided to go to cinema to watch Lion. Very uninteresting I know, however this cinema was a little different in the fact that the film had an interval like in the ‘old days’ and the seats were a mismatch of sofas, armchairs and old fashioned cinema seats. Warm cookies and homemade ice-cream were also served during the interval – do you need anymore encouragement?! It was great to sit back and do something ‘everyday’. When backpacking you don’t tend to do ‘normal’ things so when you finally do they become almost abnormal within themselves. A strange concept I know but it really was a lovely evening for us. Wow, from the photos alone I would never have guessed this is New Zealand. Great pictures! I can see bales of silage.! Any cows ?